Through hands-on experience, volunteers make a meaningful contribution to the Reserve and our land and wildlife management. 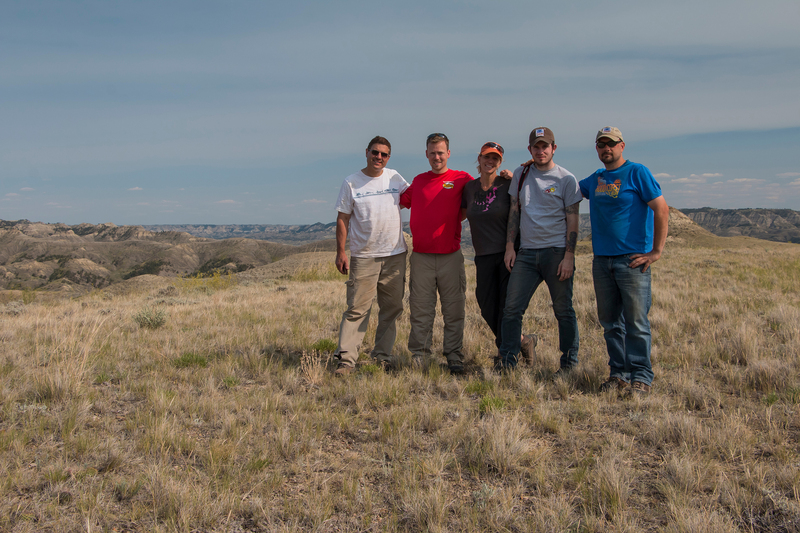 Volunteers play a large role in infrastructure removal and habitat restoration that help wildlife populations and the visitor experience of the Reserve. Volunteers typically work in the field on an assigned project, which may include removing fence posts, barbed wire, and old buildings, trail maintenance, or wildlife surveys. 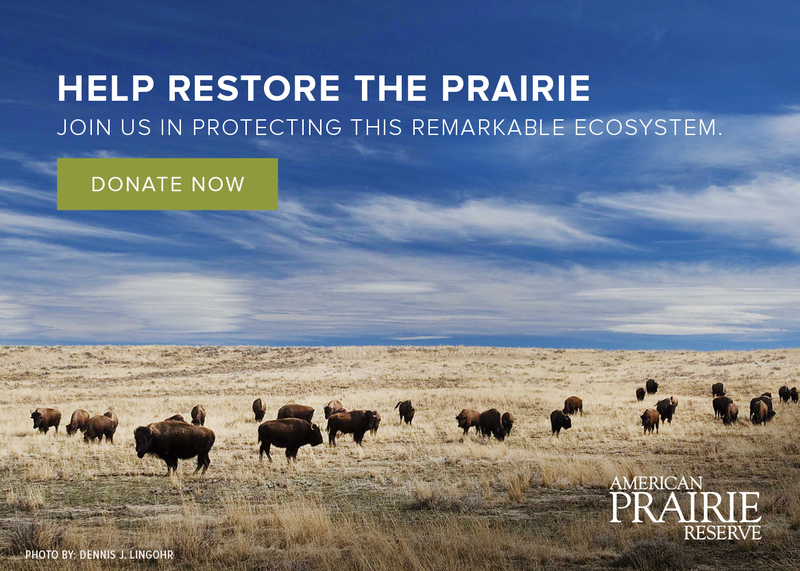 American Prairie Reserve is not currently hosting volunteer safaris, but leaders of self-organized groups are encouraged to contact us about incorporating volunteer service into their stay. We are currently taking requests for the 2017 field season. Volunteers are special kinds of visitors that have the chance to experience the land and wildlife and give back at the same time. Read some of their stories on the blog. 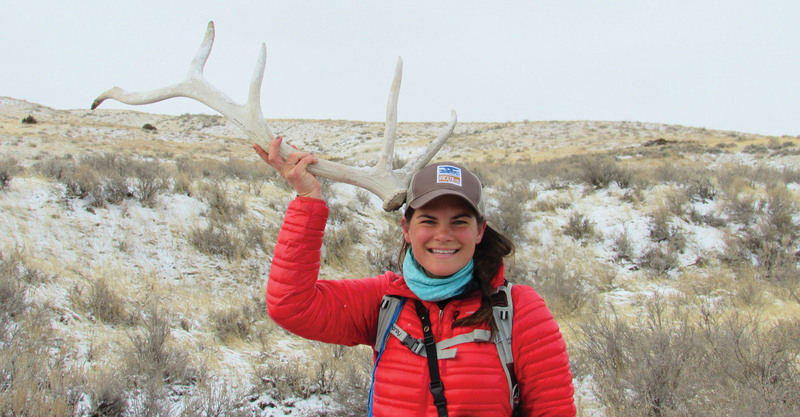 In 2014, American Prairie Reserve (APR) started a collaboration with Adventurers and Scientists for Conservation (ASC) through Landmark, a multi-year and year-round volunteer program that harnesses the power of outdoor enthusiasts to collect scientific data. Crews of four spend 2 months or more on the Reserve helping answer questions about the region’s wildlife populations. The collected data, including GPS points and camera trap images, will establish trends over time and inform management decisions as the Reserve grows. Learn more about the project and the application process on the Landmark page. Learn more about the Landmark program, including how to apply to volunteer this year and what past volunteers have to say about their experience.